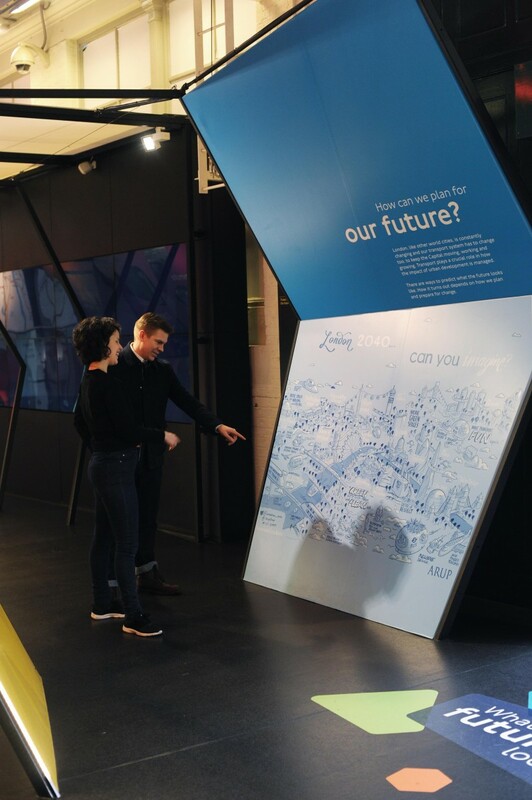 Back in July, our Think & Visualise team had the pleasure of working with Arup and TFL to bring the future of transport to life during the Transported By Design Festival on Regent’s Street. Today, you can find our Infomural in it’s new home in the front entrance of the London Transport Museum. The full-colour Infomural can be found just right of the front doors of the museum. Created live over the course of the one-day event, it captures the cumulative vision of thousands of participants. 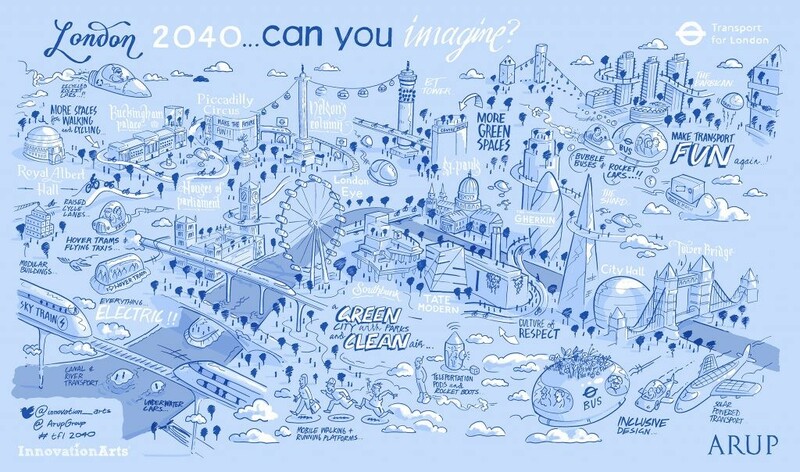 During the festival, attendees where asked “What will transport in London look like in 2040?”. Participants shared visions of a greener, more connected and sustainable world – with the occasional hover car thrown in for good measure. These ideas are elaborated upon in the text surrounding the infomural within the museum. The festival was a wonderful opportunity for us to work with the public as a whole. We can’t be happier to be included in the London Transport Museum! Photo: Innovation Arts Infomural at the London Transport Museum.